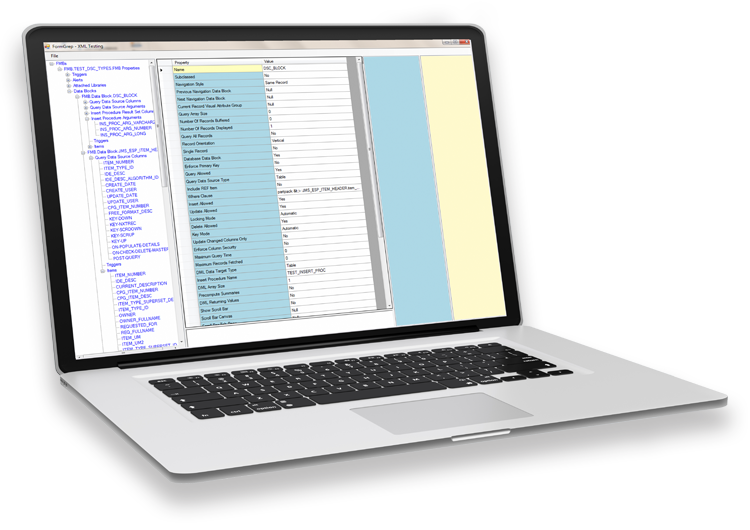 Search and Compare Tools That Operate on FMBs, PLLs, MMBs, RDFs. 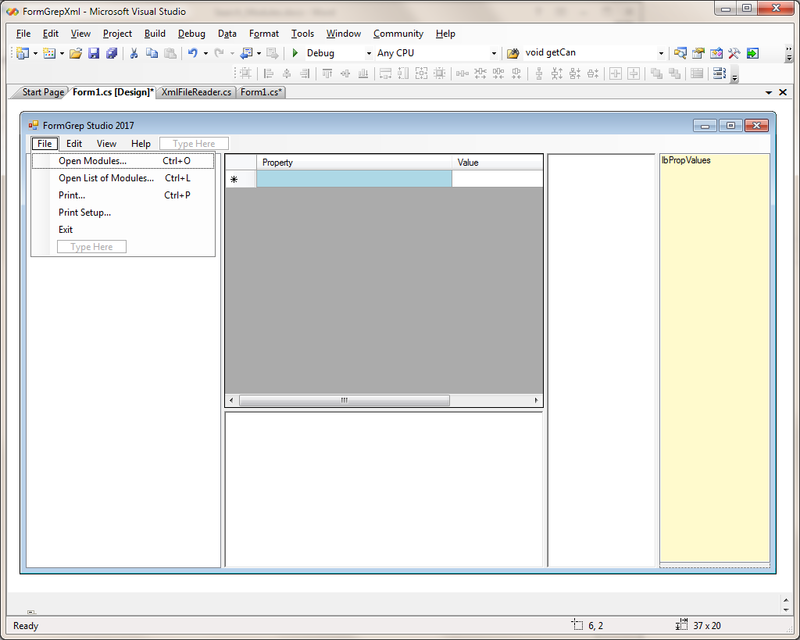 For developers of Oracle Forms and Reports based applications. …in hundreds of FMBs, MMBs, PLLs and RDFs. 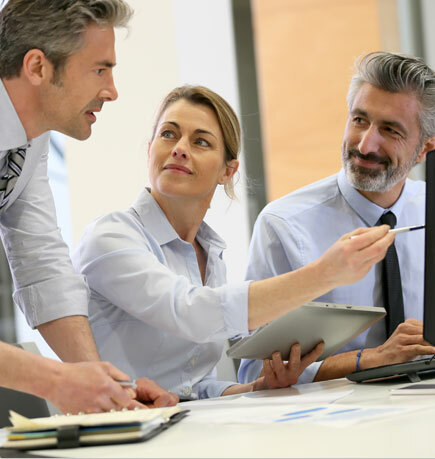 Your developers have made changes (or plan to make changes) to database stored procedures. What is the impact of these changes? 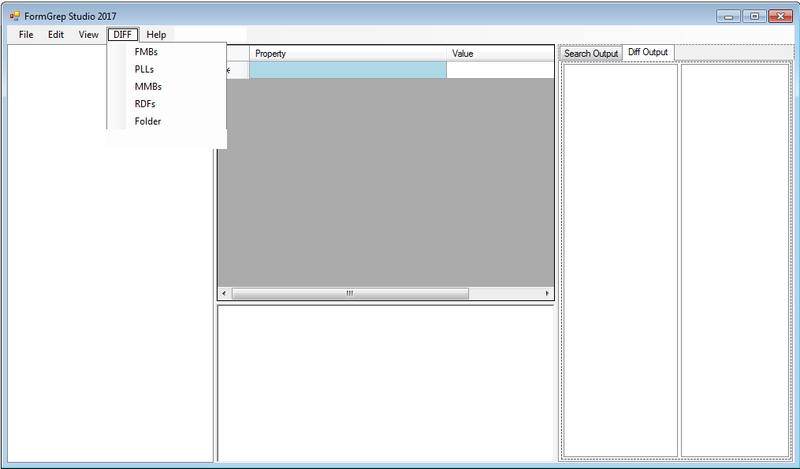 Where in the Application System are the stored procedures invoked? Your application consists of over 500 FMBs, over 150 PLLs, over 200 RDFs and nearly 100 MMBs. How do you discover where the calls are made? 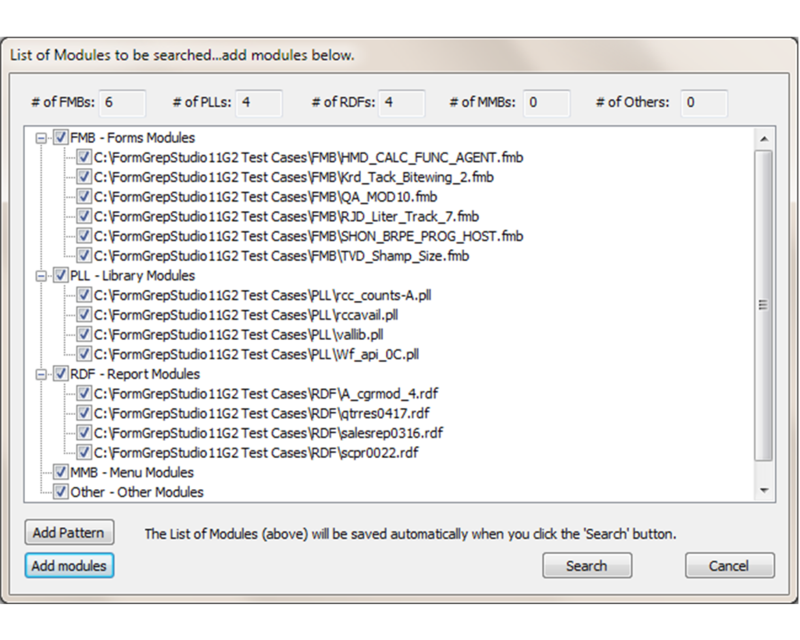 Do you instruct your developers to search each module manually? You say you have a coding standard such that all stored procedure calls are localized to a specific set of modules. How do you verify that your standards have been followed? 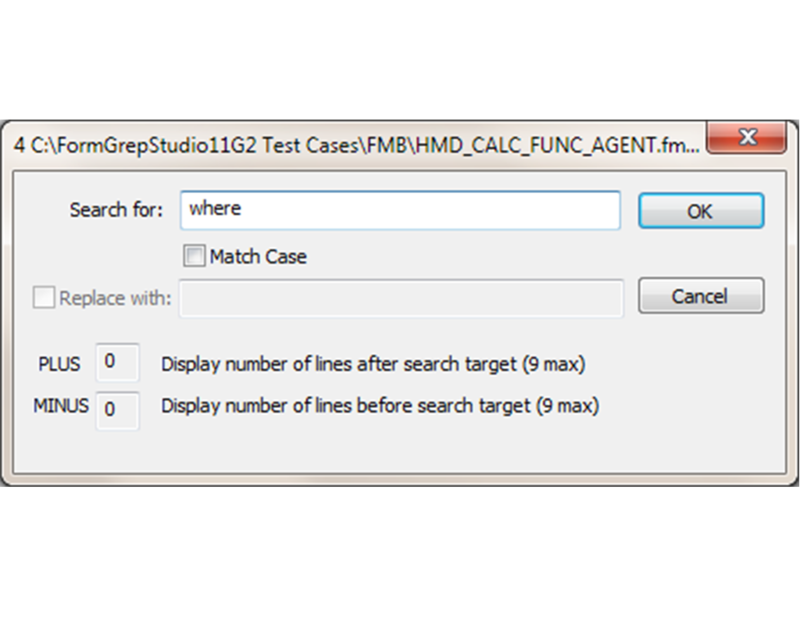 With FormGrep Studio 2017 (FGS 2017), you can locate all references throughout your application in a matter of minutes – not days or weeks. 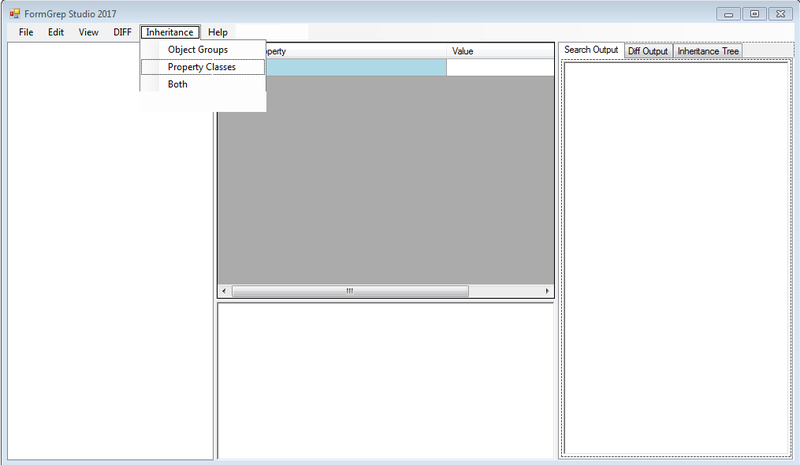 Do you search for strings in Objects Property values? 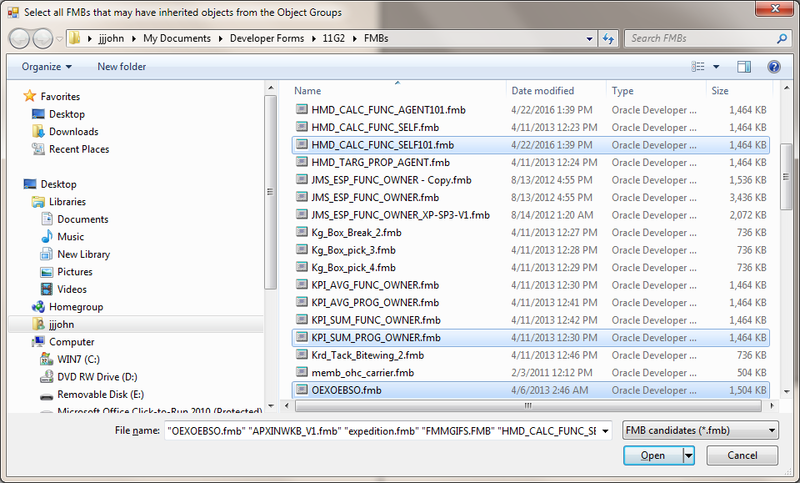 Do you search for strings in Object Property attribute names? 3. 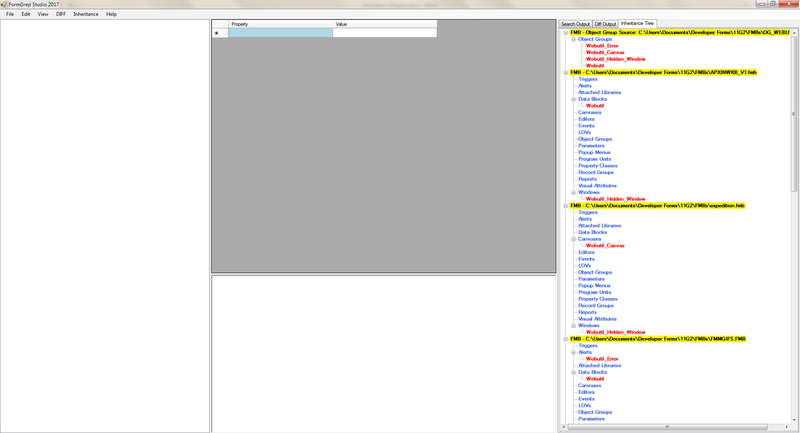 The search results will be displayed in the Search Output window! 4. 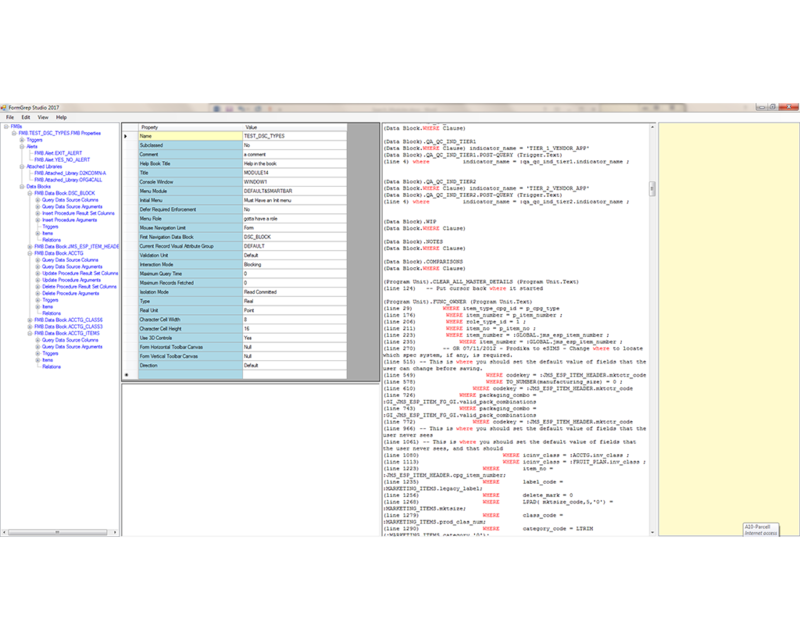 FormGrep Studo 2017 displays the DIFFERENCES between the two selected FMBs. 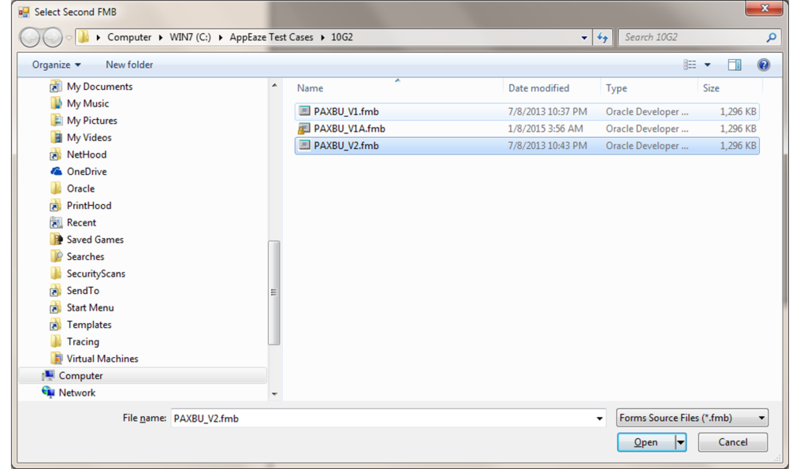 02 Compare Versions of FMBs, PLLs, MMBs and RDFs in your Application System. For example, Version 1.0 (or Version m.n) of your app is currently in production. The next version is due for release shortly. How do you identify all the changes made to the app since the previous release? How do you plan where to focus your QA efforts for the next release? How do you shorten the defect repair cycles going into production? Hint: The most recently changed modules have the highest probability participation. With the FGS 2017 Difference Engine Calculators, changes across modules can be reported in minutes, not weeks. Defect repairs and / or enhancements require changes to modules with inherited objects and properties. How do you determine which objects will be impacted by the changes? 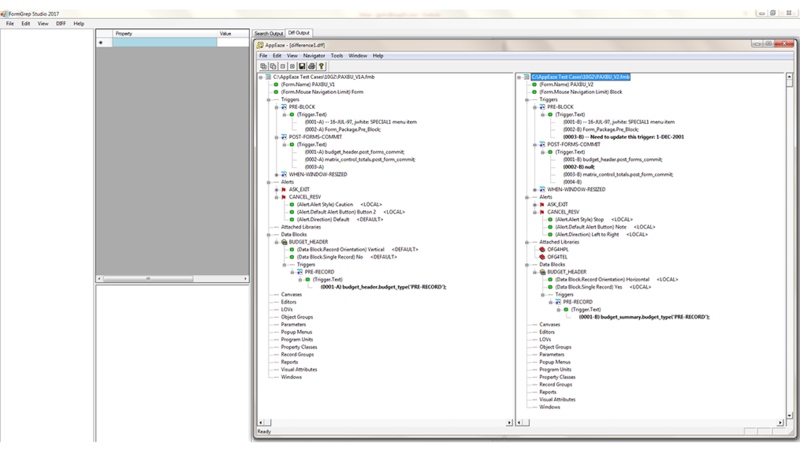 With FGS 2017, the “Class Diagramer” will illustrate the inheritance relationships throughout the app. 2. 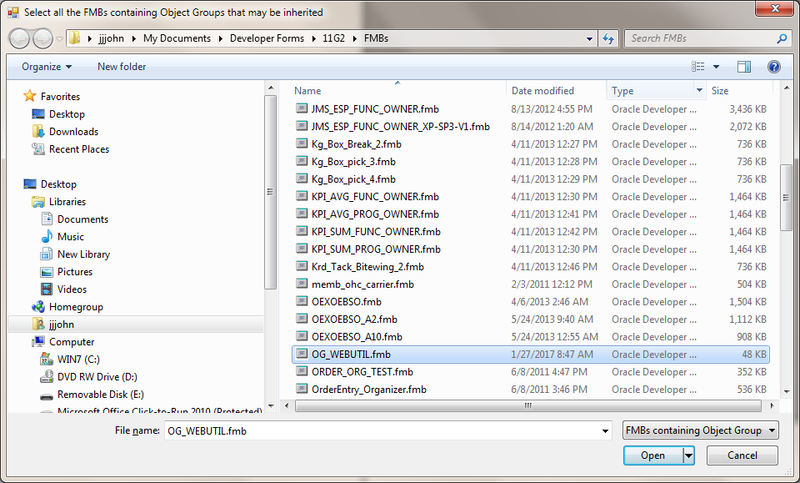 Select the Source of Object Groups or Classes that can be inherited. What is the name of the Forms and Reports based application on which you are working?